How will Republicans and police protect demonstrators' rights? | Jon Katz, P.C. How will Republicans and police protect demonstrators’ rights? Sep 01, 2008 How will Republicans and police protect demonstrators’ rights? Now Republican leaders and Minneapolis/St. Paul government and law enforcement have their chance to show if they will do any better than the Democrats and Denver authorities to protect demonstrators’ rights, during the Republican National Convention. – For Labor Day, a protest march was planned, with organizers expecting tens of thousands of participants. 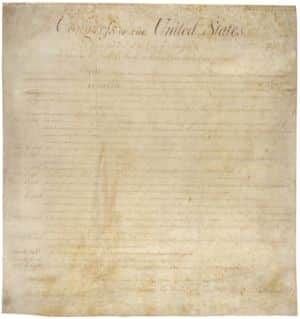 – TwinCities.com reports: "The American Civil Liberties Union and the National Lawyers Guild filed motions in Ramsey and Hennepin district courts Sunday, seeking the quick return of some of the ‘First Amendment-protected literature’ that had been seized, said Chuck Samuelson, ACLU of Minnesota executive director. There were fliers and banners taken in the searches, mostly from a St. Paul center used by a number of groups, that people had planned to hand out or display at today’s march, Samuelson said. They aren’t asking for the return of ‘any of the materials that are related to the prosecution of the crimes for which people were arrested,’ Samuelson said." – TwinCities.com further reports on the National Lawyers Guild’s insistence that the seized items from the alleged anarchists are ordinary household items, and disturbing confirmation by law enforcement itself about blackouts on letting people record searches: "The National Lawyers Guild has said the confiscated materials were common household items and that the RNC Welcoming Committee’s Web site has never stated or discussed plans for violence during the RNC, including against law enforcement. "Also Sunday, Communities United Against Police Brutality President Michelle Gross released video [see the video here] of the first seven and a half minutes of Friday’s raid. She was at the center and was ordered to the ground with the other people inside. She said sheriff’s deputies turned off her video camera. ‘We document these incidents and then to have them pick up and then turn off the video camera … is grotesque,’ Gross said. ‘More than that, though, this was only the latest in a salvo of several incidents involving police attempting to block people from telling the story of what they’re doing.’ Her organization and the National Lawyers Guild filed a motion Saturday in Hennepin County District Court asking a judge to stop police from seizing video equipment and cellular phones used to document officers’ conduct and cited other examples of it happening. [Ramsey County Sheriff Bob] Fletcher said Sunday that deputies would have turned off Gross’ camera because law enforcement has ‘the right to control the scene of anybody who is inside a search warrant. If she’s out in the public, it’s a different thing; but she was inside the scene.’"
– Thanks to the above-discussed Michelle Gross for very calmly but insistently giving the police a good reason to permit her to keep her video camera running. Here is the video portion that ran, before the police cut off further video recordings. – Minnesota National Lawyer Guild chapter president Bruce Nestor was present during the execution of two search warrants. He said: “Police seized political literature, cellphones, computers, cameras, personal diaries, and many common household items such as paint, rope, and roofing nails. These items are present in almost any home in south Minneapolis and are not evidence of a crime … Seizing boxes of political literature shows the motive of these raids was political. Sheriff Fletcher has staged a publicity stunt, violated constitutional rights, and misrepresented what was seized during the raids." – Are the police raids limited to the alleged anarchists (by the way, anarchists do not shed their Constitutional rights by being anarchists, and the Constitution cannot outlaw people from being anarchists)? If so, why did the police raid a home housing members of a group called I-Witness Video? The video here shows the Ramsey County sheriff followed by a member of I-Witness Video. – The apparently left/"progressive"-leaning Twin Cities Daily Planet further addresses conflicting accounts between law enforcement and activists about the police home searches. – Orin Kerr at Volokh weighs in on the matter, with a rather "law and order" bent, with many commenters giving a wide range of opinions. In any event, people can debate the real facts of the recent Minneapolis raids. This should not obscure the need to watch closely what the police are doing to demonstrators’ rights, and for everyone to insist not only on preserving their Constitutional rights, but also to protect robust and extensive rights peacefully to demonstrate, because courts often give overly-crabbed interpretations of First Amendment free speech rights.